Home / You heard it here. / So you think you know art ? Dr Roshan Radhakrishnan You heard it here. Well, this is really a followup to this post in Godyears where I've put up pictures of paintings and asked people to guess how much you would pay to buy them... If you haven't done it yet, please go there and add in your opinions before coming back here to find out the true worth. Without further adieu, I give you the answers. 1. 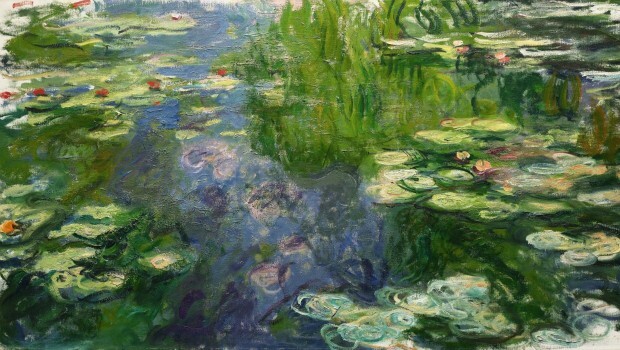 Le Bassin aux Nympheas / The water lily pond by Claude Monet sold for Rs 416 crores. 2. 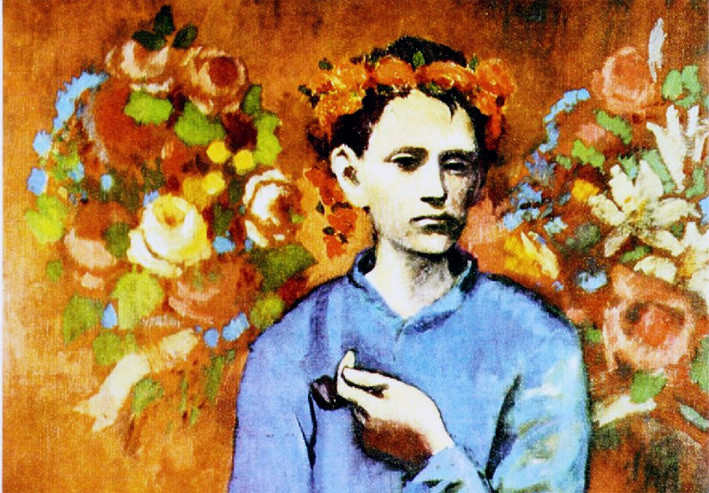 Garcon a la Pipe / Boy with a Pipe by Pablo Picasso sold for Rs 541.32 crores. 3. The Good Shepherd by Philippe de Champaigne is available to be bought online for Rs 15,080. 4. 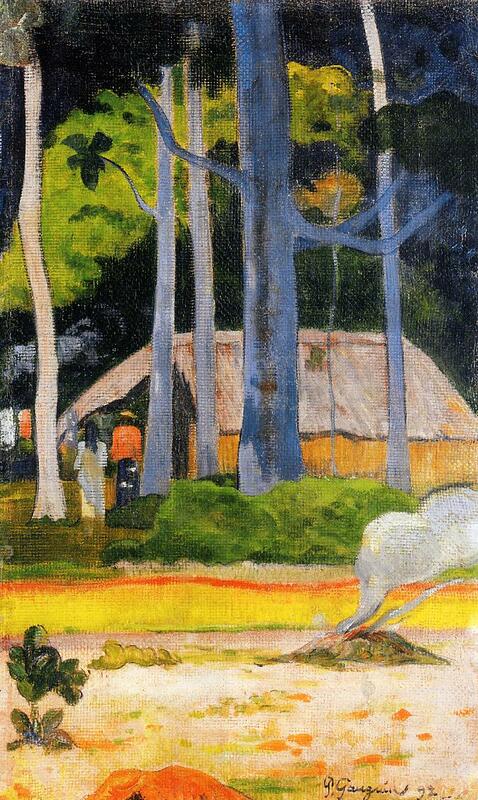 Cabanes Saus le Abres / Cabin under the trees by Paul Gaugin was sold for Rs 43.6 crores. 5. This abstract painting is available online for Rs 4,160. 6. 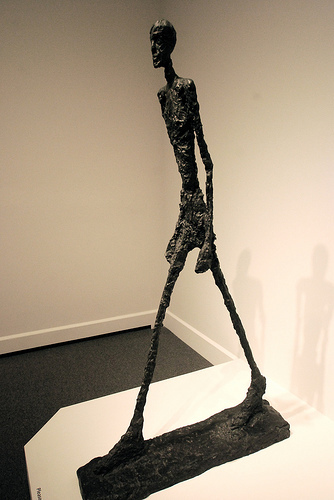 Alberto Giacometti's The Walking Man sold for Rs 542 crores. 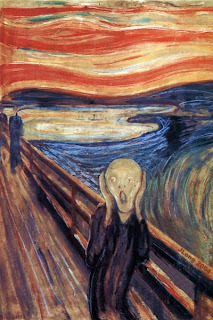 This article is inspired by the recent auction of Edward Munch's 'The Scream' for a record price of Rs 630 crores. Hehe.. moral of the story ? Throw away those physics and chemistry texts of your kids and get them better paint brushes and canvases. Because even if one of their paintings becomes a hit, you can all buy that beach-house in Hawai and sip coconut juices and pina coladas for the rest of your lives. Sniff... why did I give up my superb talent with felt pens and crayons and become a doctor !?! OMG!!!!! My guesses were not even close! It should either be a cricket bat or a painting brush, i swear!!!! Okay so bubye SAP ABAP Programming. Paint and brush, here I come ! I used to think I was pretty good at art... but like most other extra-curricular activities, that too took a backseat as I grew up..sad indeed. Oh then 24 hours may not be enough for you. A profession like yours, two blogs and other writing sprees, and then art ! Please share these talents with lesser mortals like me ! OMG! These paintings are surely an example but not to forget, the number of reality shows that are coming these days, all parents would want their kids to be dancers and singers! Btw my guesses are almost all the same numbers minus the crores! Chetan Bhagat is frankly a really good example of this... definitely a good writer, but no where near the brilliance his fan clubs depict.. frankly, the same can be said of quite a few of these... you could buy a small island with that cash !!! When you asked us to guess i was sure there was something to it. I purposefully kept my guesses high. But when I checked it here, I was nowhere close in most cases. I'm joining some arts class soon. I'd figured the first and the last paintings would cost more- read some lakhs. The first one has a reflection a translucent quality to it... But OMG! I was nowhere close! Really ? I was wondering what was so great about the first painting... seemed so ordinary. I liked the second picture, the one by Picasso. Of course, never would have imagined the price, even if I tried !! And thanks... do come by more often. Oh my goodness!!!!!!! I am off to painting classes!!!!!!! Wait in line.. I and the others were there before you.. we have to become crorepatis first by drawing cows and trees !! After that only, your turn. I agree with you. I've never been able to understand why the art of the so-called 'artists' are so popular, because frankly, it looks ridiculous. For me, art has to be pleasing to the eye. Give me a simple oil-painting of a sunset any day over this. And I never was good at art. I need a scale to even draw a house properly. So, sadly, picking up the painbrush isn't an option for me. :/ Sniff, indeed. ya, same here... I would prefer something that actually looks good over a 'name tag' any day.. and sorry, since you ain't good with the brush, the rest of us ( above you in the comments section) will have to exclude you from our gang once we become billionaires.. ho hum. Where's my caviar ? Butler... oh Mr Butler ? Have you seen our Superstar Shalini's masterpieces in the Draw Something game ? If you can do better than that, we can still sell it for a few crores.. otherwise, we'll sell it as abstract art for some 20 lakhs pocket money atleast !! Seriously like Anita said Art & I are 2 left feet trying to salsa but having said tht I guessed the 1st one was a money err I mean Monet & recognised Scream & oh yes the Pablo Picasso. I'm not showing off I seriously did;-D.
Err sometime in April when I was desperately trying to think wht to post I had this idea of educating other specimens like me abt the world's most expensive paintings. The idea is still lying in the drafts;-/.